Applied Catalysts has a unique activated carbon monolith based catalyst (ACMC, link to Flyer) based on Applied Ceramic carbon honeycomb (ACM). The ACM has been commercialized in a number of gas adsorption applications, such as for evaporative emission control in automobiles. 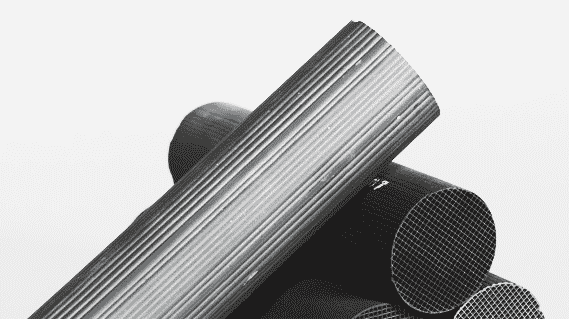 The ACMC catalysts can be used in most applications where catalysts are carbon supported with advantages for continuous process chemistries in flow reactors. The advantages include high activity, low pressure drop, low attrition and improved heat transfer. Applications include hydrogenations, syngas chemistry, dehydrohalogenations, and others. These catalysts are based on precious metal and base metal active catalysts, such as ACMC-Pd, ACMC-Pt, ACMC-Ni, ACMC-Rh, etc. Applied Catalysts can provide samples for customer testing or do contract testing of hydrogenation and other chemistries in the Applied Catalysts Development Lab in Laurens SC.